Part of the Seven Stars whisky serie from Spirit of Hven this Phecda is a medium peated single malt created completely in the island of Hven, in the strait between Denmark and Sweden. The name of this whisky derives from the Arab word for one of the seven stars of Ursa Major. And like its two predecessors: Dubhe and Merak, it is the result of a vatting of a few casks… so it is not single cask but pretty close. Palate (90): powerful, oily. honey, peat, citrus, nuts, spices, pepper, cinnamon, salt. 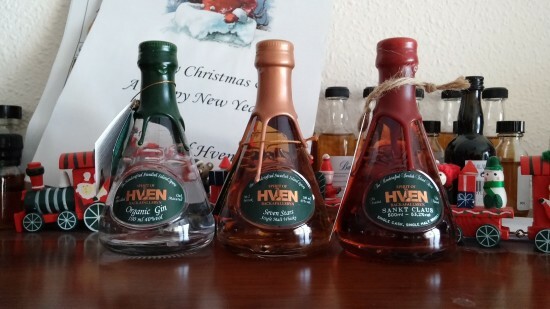 So based on other whiskies I have already tasted I rate this Spirit of Hven No.3 Phecda with 90 points over 100. Definitively a great step forward over Merak. This whisky is more mature, slightly more peated and definitively more yummy. Keep an eye on Spirit of Hven because if the progression keeps next releases are going to be quite quite interesting. I have just realized that I never completely published some of the tasting notes from #WhiskyAdvent 2014 calendar, and particularly one that really caught my attention was the dram for the Dec, 24. The Lost distilleries whiskies are a serie of whiskies created using malts and grain whiskies from closed distilleries of Scotland like Port Ellen, LittleMill, North Port. This batch 6 features malt whiskies from Mosstowie, Port Ellen, Glenisla, Imperial, Caperdonich, Glen Mhor and Brora, and grain whiskies from Port Dundas. Nose (93): more than average. honey, flowers, toffee, vanilla, liquorice, pepper, citrus, oranges, wood. Palate (93): powerful, oily. honey, candies, spices, citrus, cinnamon, ginger, orange zest, vanilla, flowers. Finish (93): longer than average. honey, spices, candies. So based on other whiskies I have already tasted I rate this The Lost Distilleries Blend - Batch 6 with 93 points over 100. You know what I think about all the nonsense of actual whisky prices… but with Karuizawa and this one I have been tempted to make an exception. Unfortunately it is too much money for my pocket, but maybe it is not for yours. An excellent dram and one of the best ones that I have tasted in 2014. I suppose I was expected to have reviewed these whiskies sooner, but right now I am working on so many things that I have almost no time for one of my favorites things: drinking whisky. But enough talking about me… if you know about world’s whisky, you will know that in Sweden there is a big whisky maker called Mackmyra with some interesting whiskies, but there is also another distilleries like Spirit of Hven. A small whisky distillery placing the focus on small scale, hand made, hand bottled, small batches whiskies, and also gins & vodka. 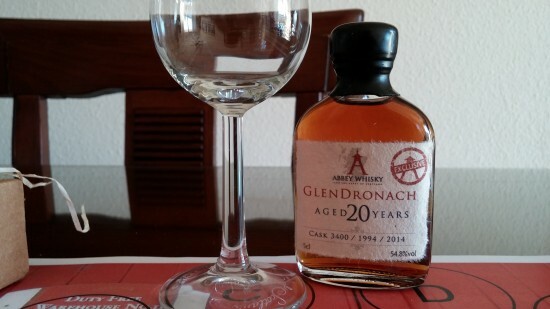 After tasting last year a great Glendronach bottled too by Abbey Whisky ( that I bought right after the first sip touched my lips ), I got a few days ago a sample of their new single cask Glendronach. A 20 years old single cask whisky distilled in 1994 and aged in a Pedro Ximenez Puncheon. As you know, I don’t like PX whiskies… I usually dislike how the sweetness and cocoa works on them… but as usual, I tasted this one blind. Let’s review it.